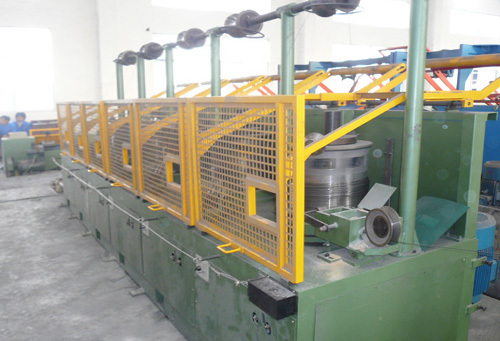 The pulley type wire drawing machine is a combined of many (the quantity is according to the inlet wire dia. and the outlet wire dia.) 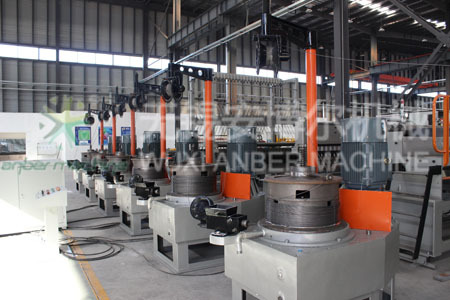 parallel connected single machines (capstan), it is used to drawing metal wire of steel, aluminum, copper. So it is suitable for these batch process areas of refined wire, such as, bolt, circle nail, electrician used lead, steel rope, spring, etc. All the rolled drums are driven by each electromotor individually. In the process, as the wire becoming thinner and longer, the rotary speed is descending one by one. The pulley type is high efficiency and simple operation. 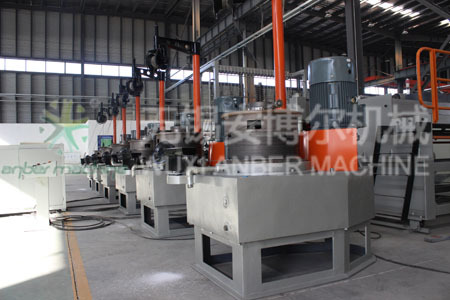 The machine is equipped with intact electric system, each has spare water cooling system interface.